Private capital market placements on an annual basis are over $10 billion per year. How do we qualify real estate for our portal? Mostly through our relationships but a property owner or Sponsor can contact us through this portal and submit an inquiry. What kind of capital is available for real estate in general? What types of properties do we analyze and help market? Our technology allows you to reach out to a wide variety of customers - both with speed and efficiency. R2 platform works on all property classes across Canada/US including Retail, Industrial, Office, Multi-Family, Retirement homes, Hospitality, Self Storage and special purpose properties. How does the flow of private capital works? Why is it so difficult to raise capital for private projects? How can we measure cost of capital for real estate projects? Cost of capital is measured by calculating the weighted average of Capital Stack i.e Senior Debt, Mezz Debt, Pref & Common Equity. The capital costs are subject to a variety of different factors which include sponsor experience and property level risk. In general suppliers of capital expect a level of return that is commensurate with project risk. It also is a function of the product i.e Debt or Equity. What is the typical due diligence and underwriting process/criteria employed in the CRE industry? How can we work with R2 and use it's cutting edge marketing/technology platform?  You can contact us via info@r2-re.com with a brief description of your project and we will be in touch with you to discuss further details. What kind of advise and consulting your provide on the capital structure? Through our coporate finance and advisory platform, we are able to advise our clients on the right structure to optimize their capital stack in private capital markets. This include advise on structuring GP/LP docs, compliance related paperwork, return calculations and feedback on market expectations on risk/return and corresponding pref returns and promote structures that are commonplace in the industry. How can I close on a capital raise? We have affiliations in place with multiple entities in the marketplace to help you navigate the plethora of documentation and paperwork in an efficient manner. Once engaged, we will be able to guide you in the right direction. Outsource your compliance and reporting to us.